Attention fitness fanatics, hippies, health nuts, and workout warriors. My recipes and culinary artistry has been at work over the last months, and I am happy to say that I’m steadily becoming more comfortable with playing around in the kitchen. With all the ingredients and kitchen essentials I have been able to formulate some winning formulas for a Semi-Vegetarian type lifestyle. 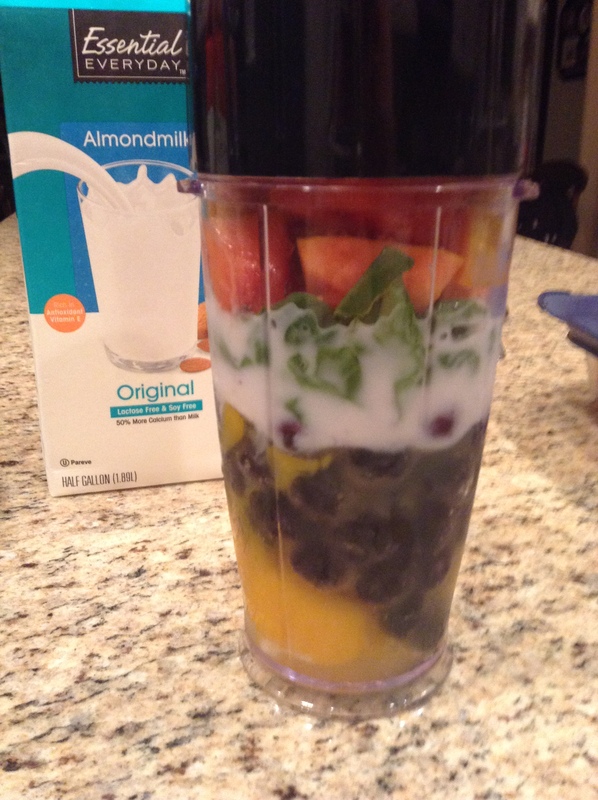 I am glad to share one of my latest recipe’s, Fresh Blueberry Papaya Post Workout Shake. I must note this particular recipe isn’t actually included in my recent ebook A Semi-Vegetarian’s Success Guide. This recipe contains some powerful fresh ingredients that are bound to keep your body feeling fresh, healthy, and revitalized. Place your ingredients in a to-go Magic Bullet blender. Theoretically this recipe could work in any blender, however it’s much easier to use when in a Magic Bullet since it is a small serving that can be quickly slurped down straight from the cup or used to-go. Be careful to clean the bottle out, since it contains remnants of raw egg which can grow bacteria and make you ill. I hope that this recipe can be used by anyone looking for a little boost. The amount of serving can be buffered with depending upon how much smoothie you want to intake or if you’re trying to put on more body mass. Again, be sure to purchase and get a copy of my latest new ebook. It’s now available on amazon and my website!